Direct-Energie's Sylvain Chavanel has announced his retirement from professional cycling. The rider confirmed the decision on the day he finishes his 18th Tour de France. The 39-year-old is saying goodbye to the French grand tour, in which he won three stages and wore the Yellow Jersey on two occasions in 2010. "I'm stopping," he said in an interview to the French newspaper Ouest-France. "I am happy. I look forward. You have to know when to turn the page. All good things come to an end. A new life is waiting for me." 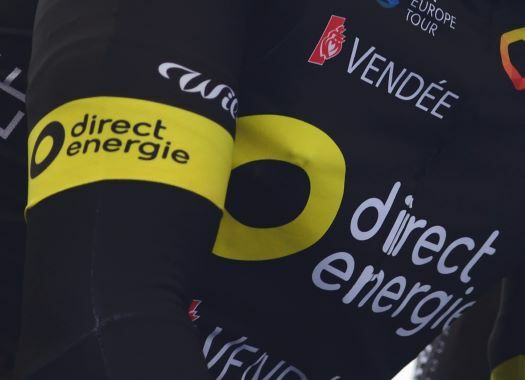 Manager of Direct-Energie Jean-Rene Bernaudeau has confirmed that the rider will have his last race at the Tour de Vendee, on October 6th. The palmares of Chavanel includes a victory in the Tour of Belgium, two in the 4 Jours de Dunkerque, two in the Driedaagse De Panne-Koksijde and six in the French National time trial championships.